Regular readers of my blog already noticed I haven't been very active at posting these last days. This had several reasons. I went to Qlimax, spend time with my girlfriend, had a lot of work to do and launched a new project called WeirdGlobeNews.com. What? Yes, you're reading it right: I created a new website called WeirdGlobeNews.com, a community driven website to provide you with the weirdest, funniest, craziest, bizarre or shocking news from around the globe. Community driven simply means that anyone from the globe can submit an article. When approved, other readers can read the weird news. If you want to know if any weird news happened at your place, simply check out the globe. 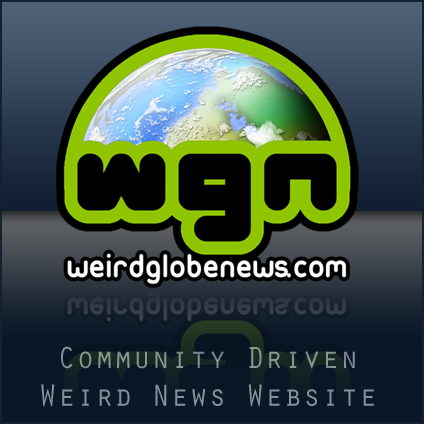 Come and join the community of WeirdGlobeNews.com! The goal of this website is to bring you the latest but especially weirdest, funniest or shocking news from around the globe. The site was set up on November 2007 by Marco. This website is community-driven. This means that you can submit your own articles. To do so, you'll have to register on WeirdGlobeNews.com. You can submit your own articles. When approved, it'll make the frontpage. You can make topics and place replies in the forum. You can make and edit your own profile. You'll not have the Mathguard security question when placing comments. If you want to join the team, you'll get your articles on the frontpage without approval. You'll also get your own @weirdglobenews.com e-mail address. Contact me if you want to get in the WGN-team. Please read our disclaimer and don't miss out our rules to prevent a ban. Enjoy this website and don't forget to subscribe. WGN is still in "beta" (For example, the forum doesn't work correctly), but it's good enough to place a whole lot of articles and build a nice community. I hope you enjoy!